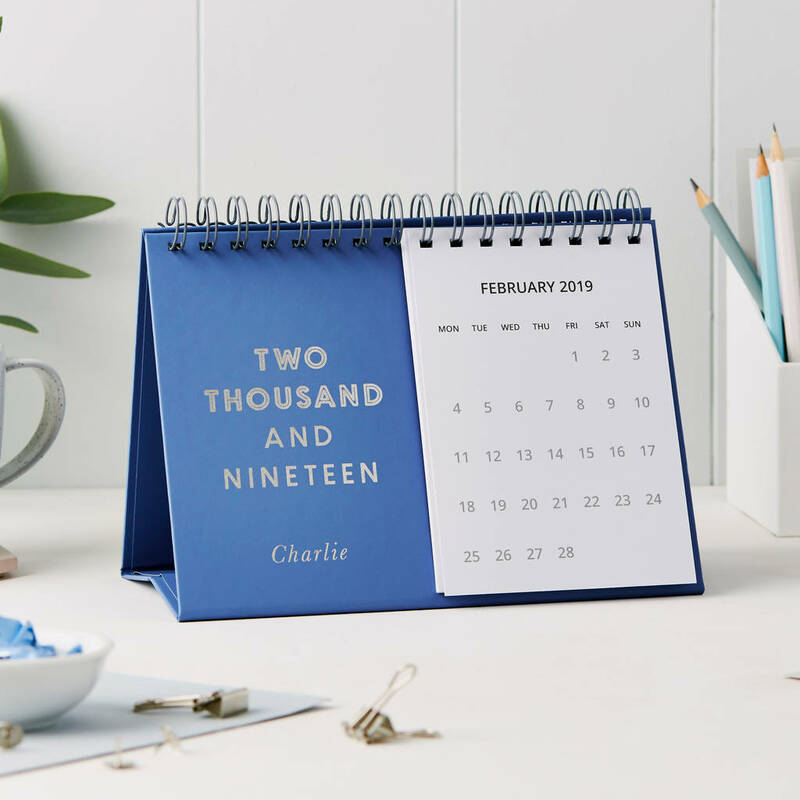 A luxury smart personalised 2019 desk calendar with a simple, but classic design. 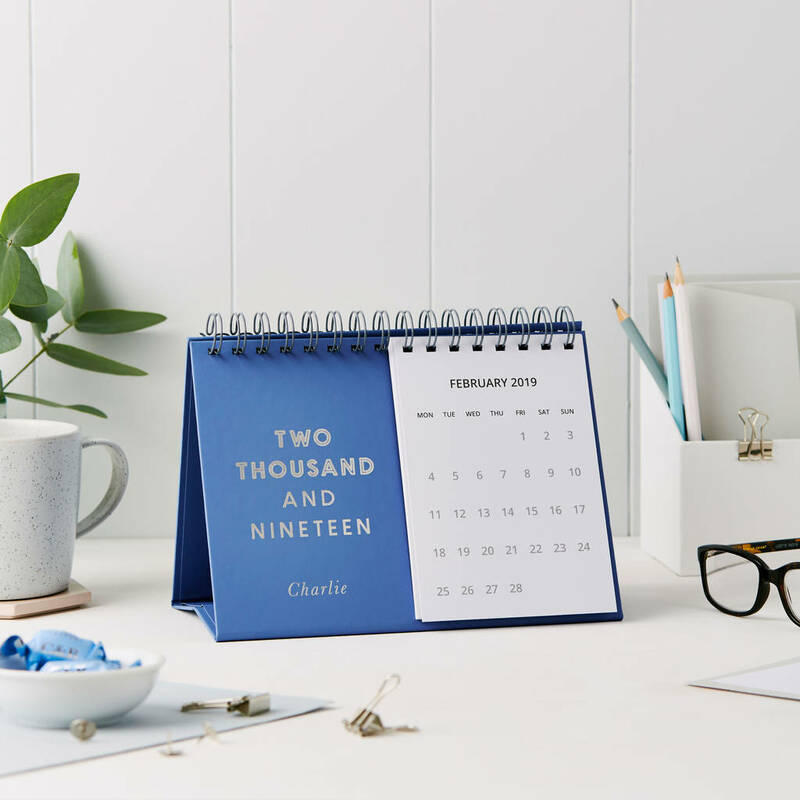 A delightful calendar to keep track of your day-to-day, whilst looking chic sat on any surface. 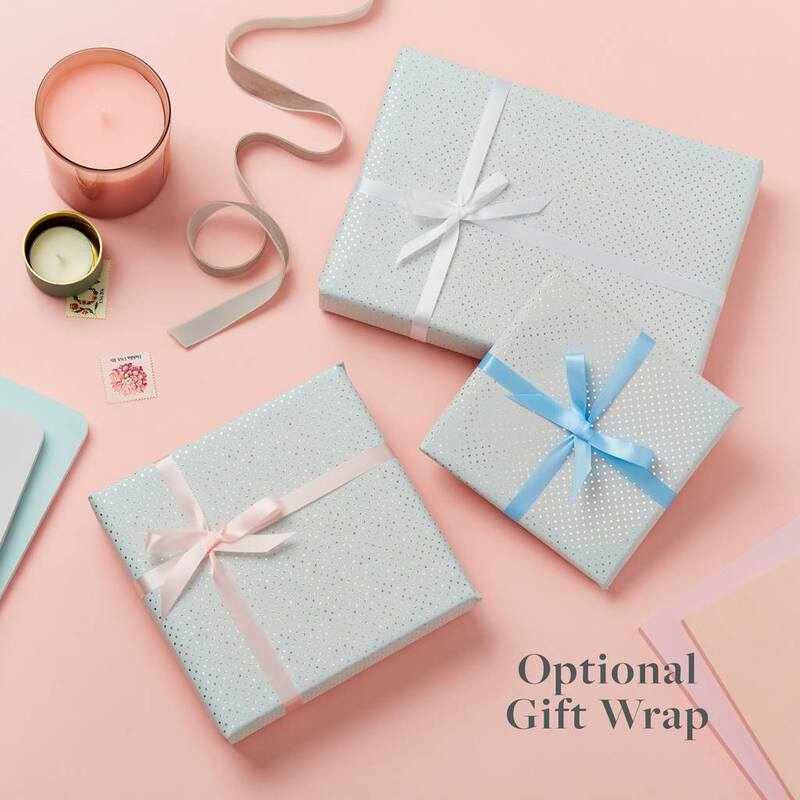 A brilliant gift for him and her to get set for a productive 2019. 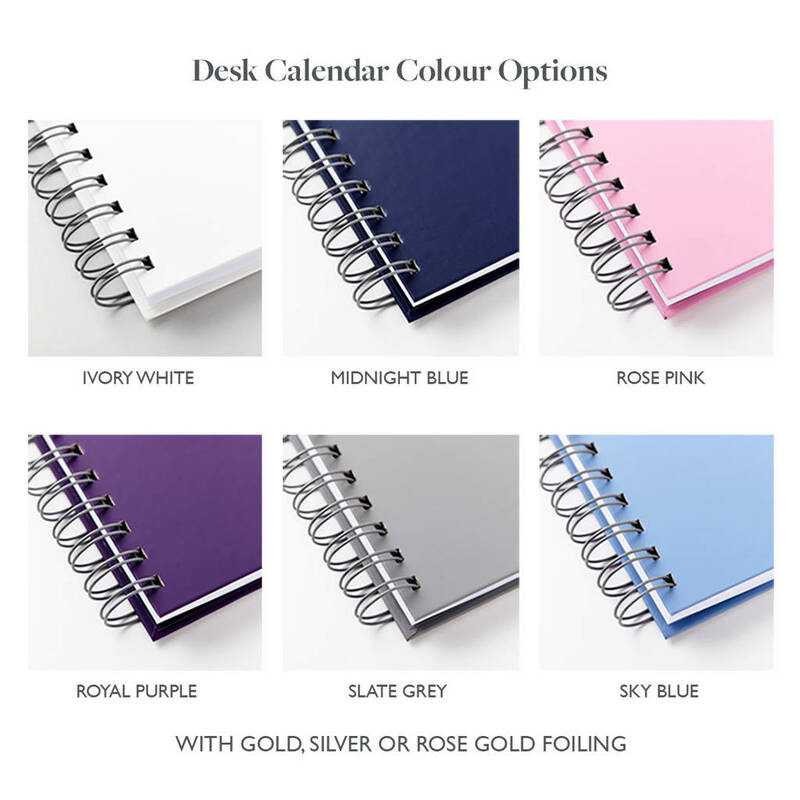 The desk calendar comes in your choice of six colour options (Ivory White, Midnight Blue, Rose Pink, Royal Purple, Sky Blue, and Slate Grey). 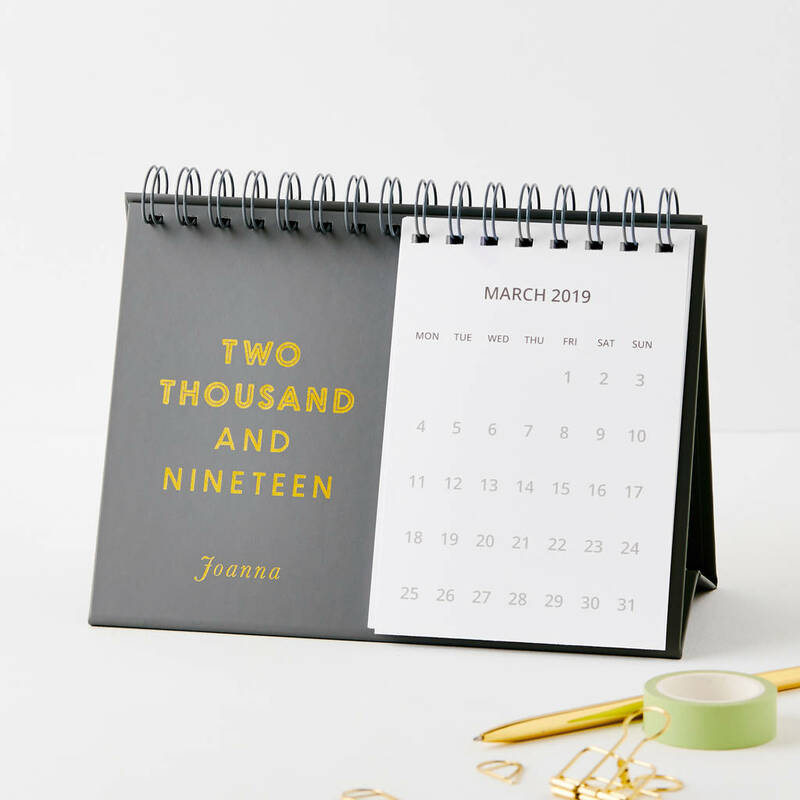 The front has a bold design that reads 'two thousand and nineteen' and the name of your choice in gold, silver or copper foil. Each calendar is filled with month-to-view calendar pages so dates can be viewed at a glance throughout the year. Lovingly made in our London studio. The luxury hardback calendar is coated in a specialist book cover material and printed with real foil. 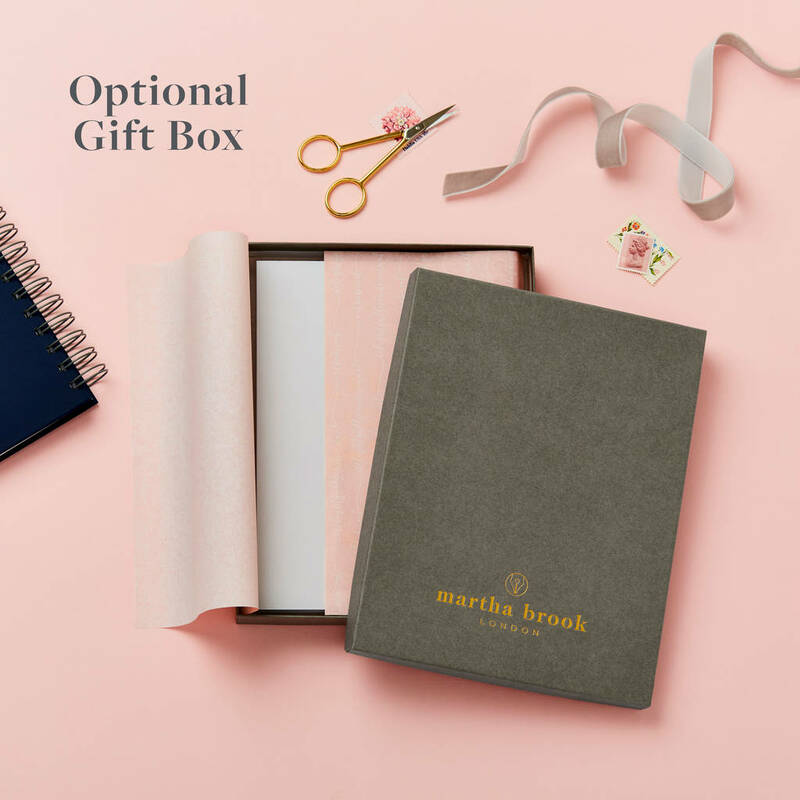 The fold-out base means it will sit perfectly upright to add a personal touch to your office or home. The calendar is filled with month-to-view pages printed on super thick (350gsm) card. The calendar measures approx 15.2cm x 21.6cm.